When Scott Frost had his introductory press conference, one of his best quotes of the day was about the need for a strong walk-on program but also for the need to have Nebraska kids in the program wanting to make this place great. In part, this is what he had to say back on Dec. 3. Now that Frost has thrown down the gauntlet for in-state recruiting, all eyes are on inside linebacker coach Barrett Ruud who is tasked with being the main recruiter of in-state players. When Ruud committed to Nebraska back in 2001 the landscape was vastly different for in-state recruiting. “Number 1 recruiting is so much more year-round now," he said. "You can’t compare it to the old days. Twenty years ago, people didn’t recruit Nebraska kids because they knew where they were going. There may have been one or two every 10 years that would leave. I didn’t get recruited. Why would they recruit me, I’m in the middle of Nebraska? Once I committed, I didn’t know what a decommitment was back then. When you committed, then you were committed. Now, even if you do commit somewhere it doesn’t mean anything, it’s a commitment for now. "Now that there have been some kids leave Nebraska, other teams have taken their opportunity to come in and recruit it harder than they used to." One thing that will be something to keep an eye on is how many Nebraska high schools change their offense to more of a spread style to better prepare their players for a potential future with the Huskers. This is something that happens all over the country, and while there are programs in the state running spread, it would certainly help to have more. There are a couple of obvious Power 5 prospects at Omaha Burke in the 2019 recruiting class that everyone knows about with 4-star tight end Chris Hickman and 4-star linebacker Nick Henrich. 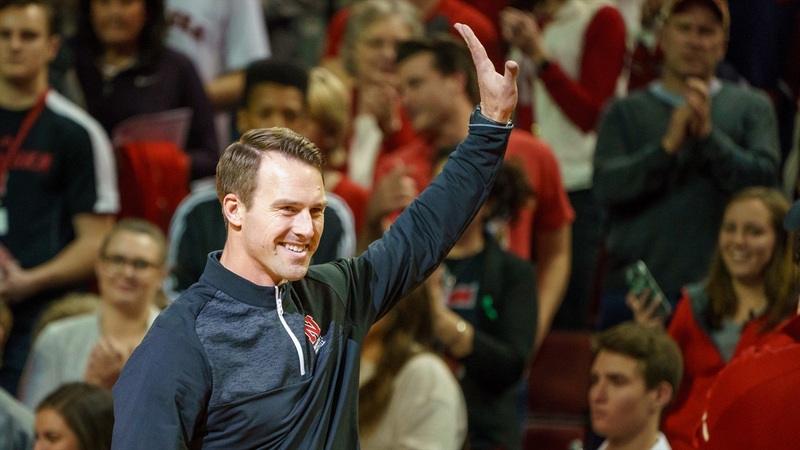 However, one secret ingredient to future Husker success could be an increased success rate of identifying homegrown players and developing them into contributors.